I was the guest speaker on our "Cool Code at Lunch" webinar yesterday where I showed the basics of developing, upload and running a Flex application on Salesforce with the Force.com Toolkit for Adobe AIR and Flex. 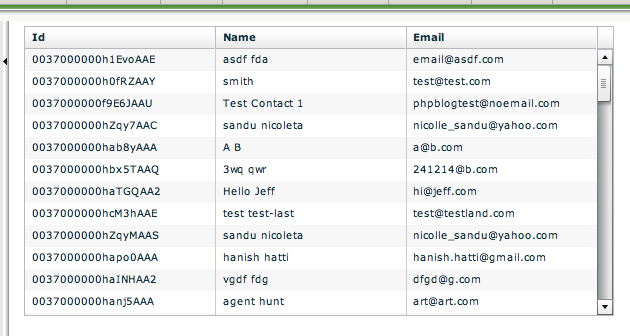 The example app was a simple DataGrid populated with Contacts. The application turned out to be a really good starting point for most Flex applications so I thought I'd post it and see if it helps anyone out. I has methods for querying, creating and deleting data. You'll need to download the Force.com Toolkit for Adobe AIR and Flex toolkit here to run this example.